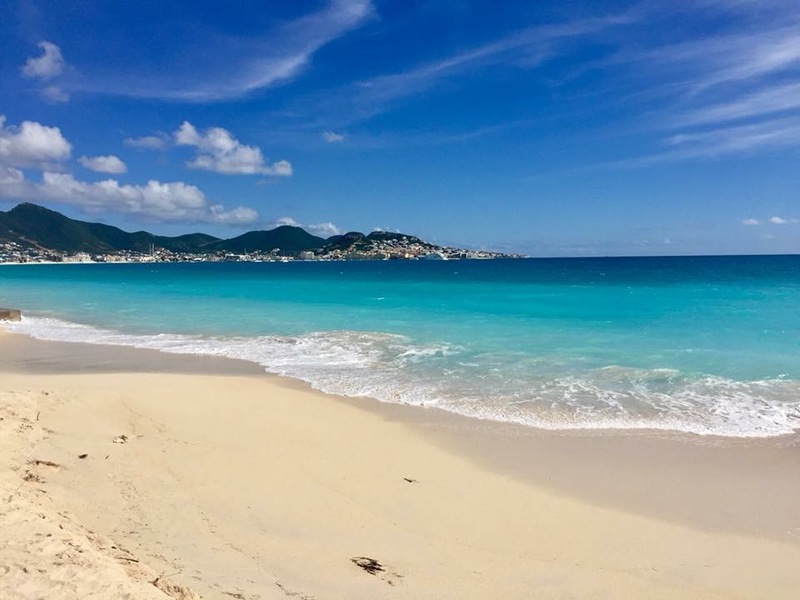 EL ZAFIRO, LOCATED IN SIMPSON BAY, SAINT MAARTEN, OFFERS A VIEW OF COUNTLESS MILES OF BEAUTIFUL WHITE SAND BEACHES AND ACCESS TO EXPERIENCE SOME OF THE ISLANDS GREAT ACTIVITIES SUCH AS SNORKELING, BANANA BOATING, JET SKIING AND KAYAKING JUST TO NAME A FEW. FROM OUR LUXURIOUS SUITE, AUTHENTIC CREOLE CULINARY CUISINE AND FULL VIP SERVICE, EL ZAFIRO PROVIDES AN UNRIVALED PERSONAL EXPERIENCE THE MINUTE YOU WALK THROUGH THE GATES. OUR UNIQUE BOUTIQUE STYLE SUITES AND INNOVATIVE DÉCOR PROVIDES YOU WITH A BREATHTAKING VIEW FROM THE COMFORT OF YOUR OWN PATIO. OUR VIBRANT SUITES GIVE YOU MORE SPACE TO RELAX, GET WORK DONE OR SIMPLY “CHILL” WITH FRIENDS. AMPLIFY YOUR VISIT WITH A STAY IN ONE OF EL ZAFIRO'S HOTEL SUITES. FOR AN UNFORGETTABLE GETAWAY AND BLISSFUL MEMORIES THAT WILL BE TREASURED FOR A LIFETIME AND BEYOND, EMBARK ON A CARIBBEAN ISLAND ADVENTURE AT EL ZAFIRO. AS SOFT SOOTHING WHISPERS ECHO ON THE WARM WINDS OF ST. MAARTEN, LET EL ZAFIRO TAKE YOU ON AN UNFORGETTABLE JOURNEY. OUR HOTEL OFFERS MORE THAN JUST BREATHTAKING VIEWS, UNSURPASSED SERVICE AND ASTONISHING ACCOMMODATION. EL ZAFIRO OFFERS A PLACE TO RESTORE YOURSELF WHICH MAKES IT AN ULTIMATE DESTINATION FOR GUESTS. BREAK AWAY! STAY! BEGIN AGAIN! WE LOOK FORWARD TO WELCOMING YOU TO EL ZAFIRO. In one of the most desirable and peaceful parts of the island, we offer you our elegant, unique, and fully equipped ocean view apartments with balcony to make your vacations in St. Marten as comfortable as possible. We specialize in making sure our guests are taken care of. From the time you walk through our doors until the time you leave, you'll receive top-notch service. We promise your stay here will be nothing like you've ever experienced. Each room has its own unique style equipped with patio furniture that over looks the turquoise waters. The rates include full authentic breakfast, free Wi-Fi, cable television with over 120 channels, daily cleaning service, an iPhone for local and long distance phone calls throughout your stay, complimentary kayaks and paddle boards as well as airport pickup and drop off, or if you would like your own rental car we can make one available to you upon request. We also offer on-site or in suite massage packages and many more services. 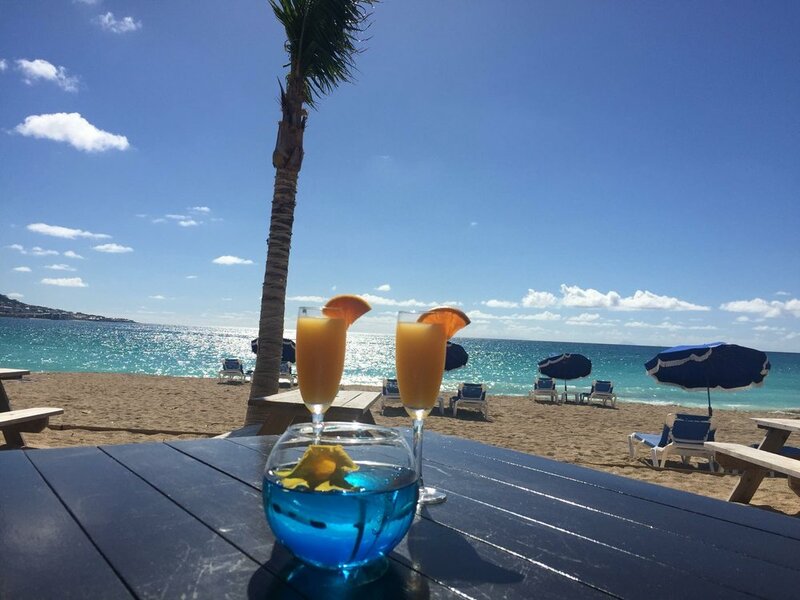 Our on-site restaurant specializes in delicious creole cuisine and currently serves breakfast, lunch and dinner, and our beach bar serves the best Piña Colada's on the island. We also have an area for beach tennis/volleyball or yoga but if you would like to just relax, you can enjoy our complimentary lounge chairs with full service.